Interior design style preferences aside, one can’t argue the fact that the Glowing Light Balls Bench by Manfred Kielnhofer instills awe and intrigue. 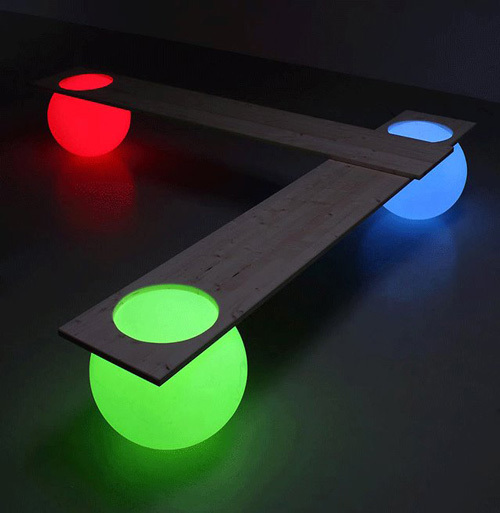 The Glowing Light Balls Bench is functional art – it evokes emotion and begs to be used even if just for one exciting moment. Composed of three illuminated spheres and two intersecting boards, it boasts really simple design ideas for your designer homes, but leaves quite an impact. It’s a real statement piece, perfect for any ultra modern setting, whether commercial, residential, public or private. Learn more about the Glowing Light Balls Bench and other interesting interior decorating and design your home products on Kielnhofer’s website. Prima is the sleek modern bathroom collection by Bluform, and it’s brand new. We are impressed with the harmony this collection exudes. Curved elegant lines mixed with modern innovative designs, it’s the perfect collection for a calm contemporary bathroom space. The bath seems to envelop, the sink is simple and functional, and the shower base is perfectly designed to drain water while maintaining its slim, unique look. Prima is a collaboration with Pininfarina Design Studio. Find out more at Bluform. Exposed bulb pendant lighting has been popping up everywhere, but this Crystal Bulb lighting by Lee Broom is something quite special. Cutting crystal is a craft and an art. 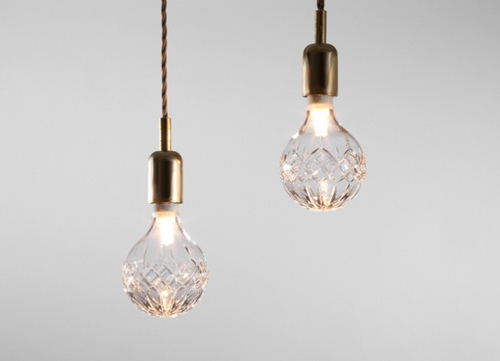 These hand blown bulbs are expertly created and carved for a truly unique kind of lighting. Lee Broom teamed up with the only producer of full lead crystal left in the UK, Cumbria Crystal, to create this minimal, yet ultra luxurious lighting solution to suit the interior design of your designer homes. Hang a solitary bulb or group them in a bunch, these bulbs will play with light to create a magical ambiance in any interior space. Crystal Bulb will be available early July 2012. Visit Lee Broom for details on other home decor products. If you like the look of knotty pine in interior design of your designer homes, then the Natural Skin kitchen by Minacciolo may be calling your name. The harmonious blend of metal and knotty pine wood is simply spectacular – a solid, technologically innovative, metal structure wearing a beautiful, “natural skin”. The interaction and contrast feels almost poetic. This kitchen is elegant and strong, perfect for a contemporary home looking to make that statement. 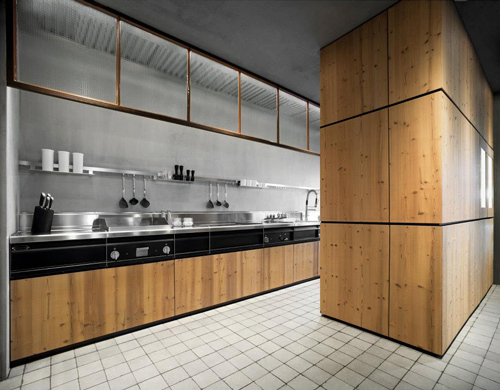 I can imagine myself spending many hours in this modern kitchen … and I don’t even like cooking, ha! Learn more about the Natural Skin kitchen at Minacciolo. The Goccia three dimensional tiles by Lea Ceramiche are actually born out of a collaboration with Kravitz Design – yes, Kravitz as in Lenny Kravitz, the musician. 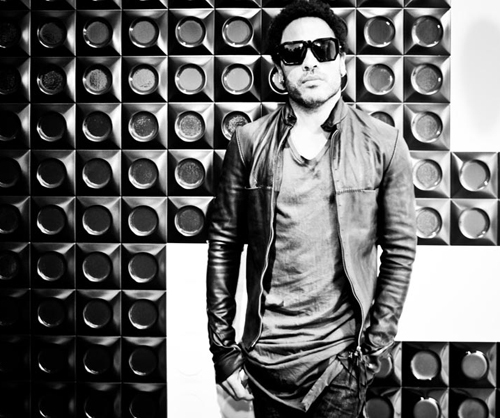 In 2003 Kravitz put together a creative team and set up a design studio. Goccia wall tiles is one of their newest ventures and we are happy to be sharing them with you here. 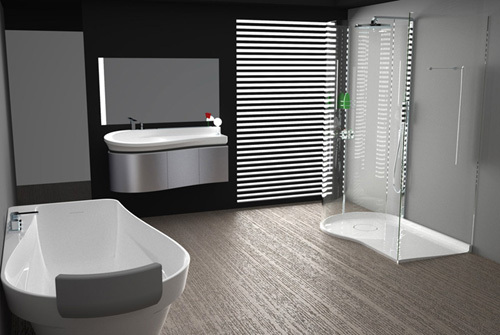 As with all Lea Ceramiche products you can expect the highest quality from Goccia tiles. Inspired by how light interacts with water (“Goccia” means “drop” in Italian), the concave and convex quality of these tiles also plays with reflected light and generates movement within a space. Pattern, texture, dimension, expression – these tiles offer a lot more than just a way to cover a surface. Goccia three dimensional tiles are available strictly in black or white and in a glossy or matte finish. Learn more at Lea Ceramiche. Satisfying our love of industrial accents in modern spaces, we had to share with you the Ziqq satin stainless steel faucet by Cea Design. 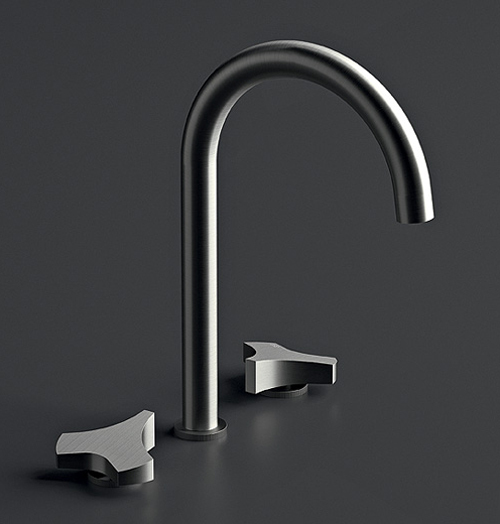 How sleek and strong is this faucet? Stripped down to a basic form, the minimalist design ideas allows us to appreciate the elementary beauty of the essential faucet/tap duo. With different mount and spread options, Ziqq is great for the kitchen or bathroom and will add a simple yet strong finishing touch to the space in your beautiful homes. Cea Design is all about innovation when it comes to style, form and environmentally conscious technologies. That makes us like Ziqq even more. Get more information on designer homes, home design and interior decoration at Cea Design.